This entry was posted on December 12, 2017 by Kelly Kiernan. Today we met with Fedra Momen, one of our design engineers, for a behind-the-scenes tour of our air filter production line and some of the technologies we use. 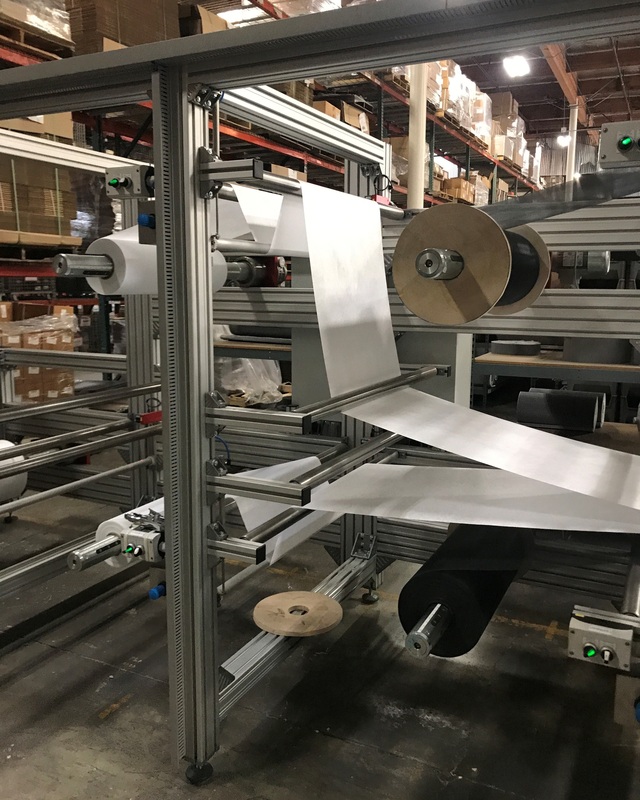 One of the newest additions to our air filter production is an upgraded and computerized pleating machine, which is both accurate and consistent when producing our varied filters. 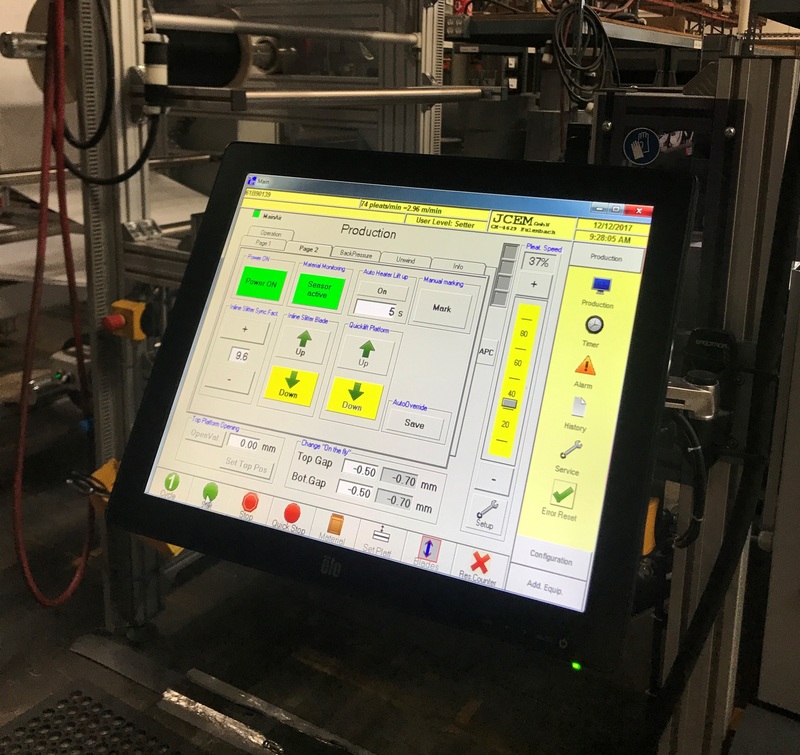 This machine can blend up to 5 different media’s at a time and creates our Pro Dry S, Pro Guard 7, Pro 5R, and Pro 10R Filters. 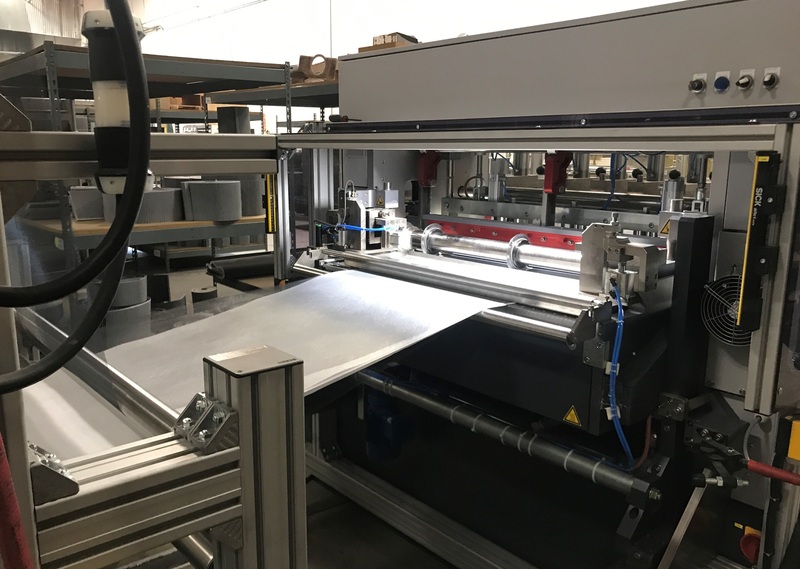 The pleating machine is essential to creating our air filters, as it blends the different media’s together, and feeds out a precisely cut and pleated filter. All of our filters feature rounded, deep pleats for maximum surface area and increased air flow. Depending on which filter and what height is in production, it can produce roughly 30-40 rolls a day! 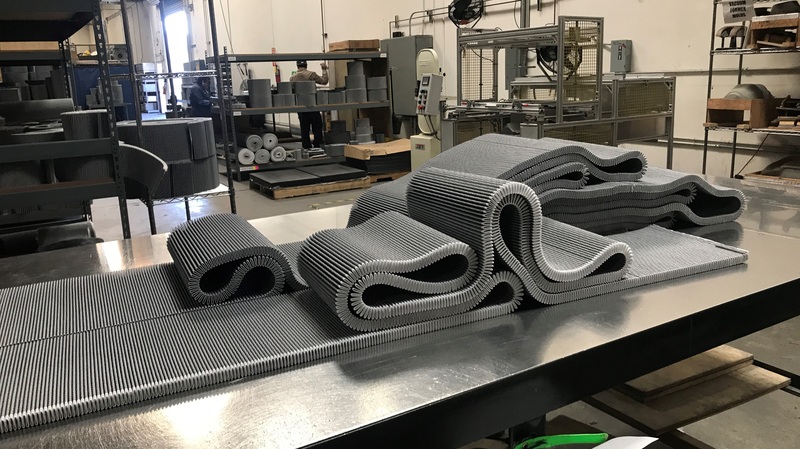 Once the pleating process is completed, select air filters receive an expanded metal inlay providing structural support, to help keep the filters shape. From there, we pour a polyurethane frame on all sides that is durable and guarantees a long filter life! Click here for more information about our air filters, the materials used, and to find the right one for your vehicle.